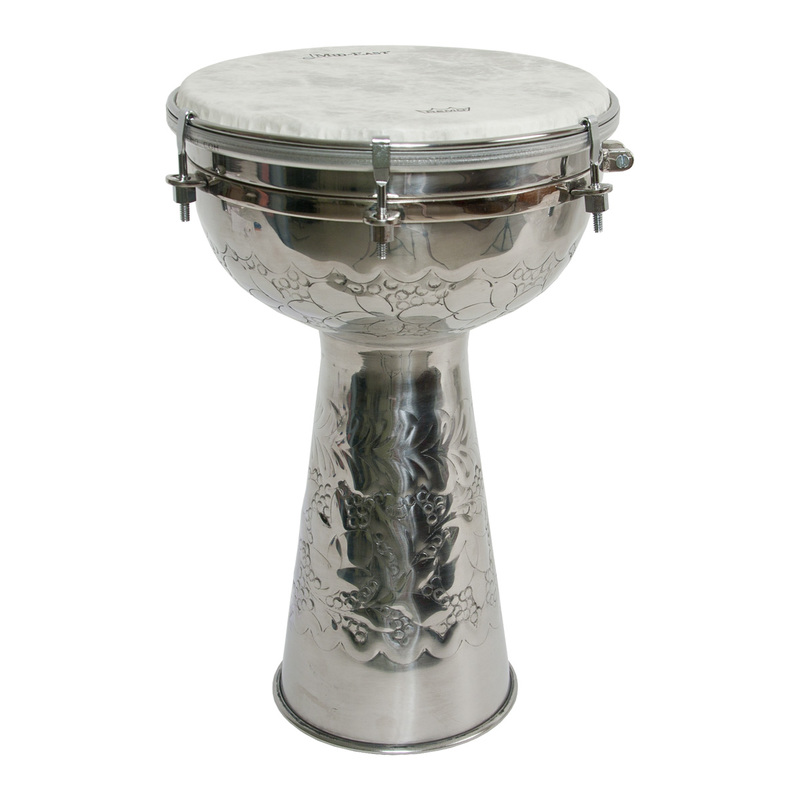 Mid-East 14 x 8 Inch Metal Doumbek FIBERSKYN Head Tunable. Nickeled brass doumbek. Engraved with floral patterns, jingles mounted inside. Tunable with bolts. Includes tuning wrench.